Samsung will soon be taking its second shot at iPad by launching Samsung Galaxy 10.1” and 8.9” tablets in US. The August release of the tablet is almost finalized by the gadget maker and the new tablet release promises to offer a lot more to the users than iPad. The pricing has been kept in line with iPad and the camera along with resolution features have been scaled up by Samsung. The display resolution of new tablet from Samsung is 1200X800 pixels and it has a 3 MP rear camera along with a 2.3 MP frontal camera for video calling feature. The maiden tablet release from Samsung – the 7 inch Galaxy Tab didn’t win many accolades from customers and tech reviewers. The new tablets are powered on Android 3.1 platform and the boost of 1.2 GHz Snapdragon processors makes the product intriguing for the value based customers. Samsung will be looking to even out their profit margin expectations by launching supreme class tablets. Samsung has already released its class tablet in US and Korea. It will be shortly releasing the supreme tablets in UK and other European markets in the months to follow. 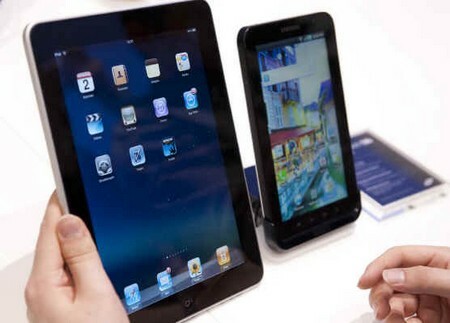 Get going and look to invest in Samsung Galaxy tablets if you are a rich feature driven consumer. The Android market too is booming with apps and utilities. The overall package looks formidable though only second to Apple at this point in time.